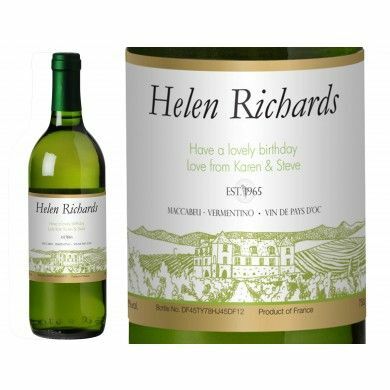 A gift of a bottle of white wine is always acceptable for any occasion, but this bottle of personalised white wine turns the occasion into a special one. The bottle label includes a boldly printed name together with the year that's being celebrated. There is also your own message, making this a unique and personal gift. 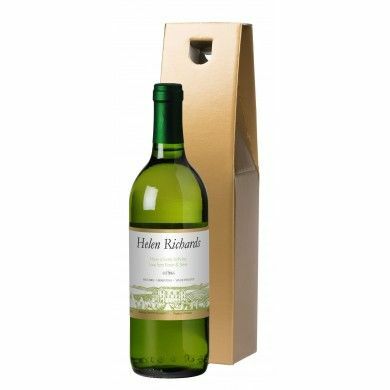 This Personalised label comes on your choice of standard or premium wine.The bottle is presented in your choice of a gold carton or a black, silk lined gift box.